It is a requirement of your Agreement, that the goods are protected against Theft and Accidental Damage. We can arrange Theft & Accidental Damage Cover for £0.72 per week. It is a requirement that products purchased on a credit agreement are insured. We can offer Theft and Accidental Damage Cover for £0.72 per week. 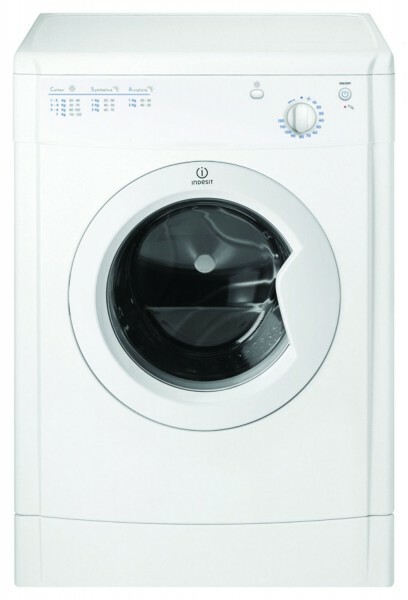 The Indesit 7KG Vented Tumble Dryer is perfect for your busy home. Offering the best technology, be sure that your laundry will be dried thourghly and evenly. This Indesit has Dual Anti-Tangle Rotation. This is the technology that promises a reverse tumble action which ensures that your clothes dry evenly and without tangling together. This should keep your clothes looking better for longer. This dryer also offers a Cool Tumble LED Indicators and a Removable Filter.